A Amalraj - Photos are by courtesy of the ITTF. Editor: Hello, from all our readers, Congratulations for winning the National Table Tennis Championship. How does it feel? Amalraj: It feels great. It was always my dream to win the National title. I have always looked up to players like Kamlesh Mehta, Sharath Kamal, Manjit Dua, Chetan Baboor, S Raman, and many others who have won the title and it feels great to join them on that roll of honour. This is my first national title other than the Inter-institutional title that I won earlier this season. I'm obviously thrilled to win the Nationals because it is my first one right from my Cadet years! Editor: Did you do any special preparation for the nationals? Amalraj: Yes, this time, apart from the technique and other aspects, I paid a lot of attention to the mental preparation part since I have faced challenges in the mental aspects in the past. For example, I played semi-finals and twice I was very close to reaching the finals, but in both cases, I was unable to close out the matches. Against Sourav Chakraborty, I was leading 3-2 and 9-6 but lost from there and also lost to Pathik Mehta another time when I had chances to reach the finals. So, I made it a point to train myself mentally for big matches, especially this season. Editor: What did you do for the mental training? Amalraj: Well, I got counseling in camps and also in Chennai from Sports Psychologists. Apart from this, I am constantly telling myself to be positive and approach situations very positively no matter what the stage of the match. I also remind myself of former Indian great players, such as Kamlesh Mehta, who are brave and put up a fight on and off the table in an elegant way. Editor: How is the competition in Slovakia? How are the conditions there? Amalraj: I have shifted base in Europe to Seligenstadt in Germany and I play league matches there. It is much better in Germany. I got to practice with International players such as Steffen Mengel and Ruwen Filus. The standard there is much higher and a lot of people are noticing me. If I do well, I can move higher. Editor: What are your practice sessions like in Germany? Amalraj: My practice sessions are always on schedule. I never miss practice whether I am in India or Germany or in Indian camps at Patiala and so on. I try not to let anything come in my way of practice. I play in the morning and evening and also work on my fitness and gymming. Editor: What are your aims now? 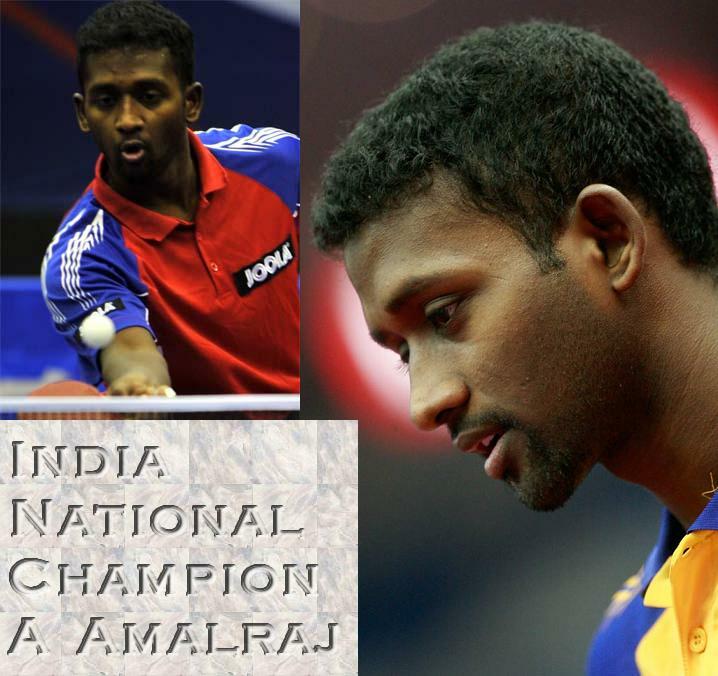 Amalraj: To win the Nationals was my ambition. I feel I have achieved my goals at the National level. I want to now improve and make my mark at the International level. I want to play more and more Pro Tour events (now called World Tour events). Sharath has done very well on the International circuit. I want to emulate him. Editor: To achieve these aims, do you have good sponsors? Amalraj: ONGC is my employer and my national needs are well met. Tibhar sponsors my equipment. However, playing in Pro Tours is very expensive. I am managing with my own money right now. I hope I can get a sponsor now that I have become the National Champion. 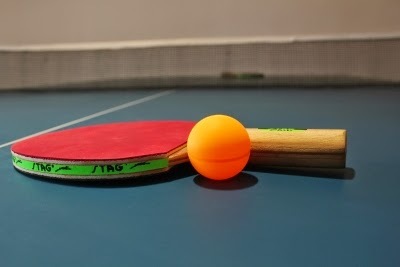 It will be great if people like you raise awareness about Table Tennis. It deserves attention since we are winning medals at Commonwealth level and our Juniors have even won a medal at the World Championships. Editor: Do you think you need higher level training, for example in China or Austria (Schlager academy)? Amalraj: Yes, I feel the need for higher level, world class training to reach higher on the International rungs. I hope I get an opportunity to train at such places. Editor: Any words about the controversy in the media after you celebrated your win? Amalraj: I would just like to say that I gave vent to my feelings. It was an exhilarating feeling to be crowned the Indian Champion, a dream that I am pursuing from nearly 20 years. I hope people understand how much I have worked for this. The sacrifices and the pain that I have gone through had to come out somehow and I guess they did come out in an emotional way. Editor: It was a great pleasure to talk to you. We hope that you continue to taste success and that you achieve your ambitions at the World level. Amalraj: Thank you very much. It was my pleasure too.